Lori launched her career as a real estate professional in 2000 and was quickly recognized as a rising star among over 100 agents. Defining characteristics include an unmatched attention to detail and a work ethic focused on the highest standards of customer service. Following her initial launch into the business, Lori joined Prime Commercial (which was later acquired by Coldwell Banker Commercial and since Colliers International), working in partnership with Tim Simonsen — one of the top retail specialists in the United States. With an expanded focus that includes being licensed in multiple states, Lori has received numerous awards and is recognized as a trusted advisor with unparalleled dedication to protecting her clients’ interests. This dedication is evidenced by her uncompromising approach to each client’s unique requirements, with constant accountability and follow-through. With diversified expertise representing both tenants and landlords, Lori has had the privilege of negotiating significant transactions involving Key Bank, Supercuts, H&R Block, O’Reilly Auto Parts, TopGolf, Sally Beauty, CosmoProf, Cafe Zupas, Fed Ex, Beans & Brews and numerous others. Combining the same tenacity developed in representing tenants, Lori is also recognized as a trusted landlord advisor, representing some of the most significant projects in the Intermountain West. This includes Trolley Square, Draper Peaks and The Terrace at Traverse Mountain, to name a few, representing numerous Landlord’s including The Boyer Company, Amsource, Four Square Properties, Red Mountain Retail Group, Wadsworth Development Group, GBR Capital and many others. Lori’s results-oriented approach has also been instrumental in representing significant national clients, including Best Buy, Cabela’s, Regis, IHOP, Office Max and many others, as she continues to help lead the number one retail services division in the Intermountain West. 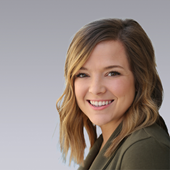 Brittany Ferris began her commercial real estate career in 2015 by partnering with Cameron Simonsen and the Thain-Cameron Retail Group, specializing in retail tenant and landlord representation. She obtained her real estate license in 2016 while working for CBC Advisors, before joining Colliers International in 2018. Brittany takes great care in meeting the needs of her clients and exceeding their expectations. She passionately cares for people and loves the opportunity to help shape her community through the development of commercial real estate. Exceptional organization and management skills make Brittany a contributing asset to her team. Since partnering with Cameron, Brittany has represented tenants including TJ Maxx, Marshalls, HomeGoods, Sierra Trading Post, Buffalo Wild Wings, Shoe Dept., The Habit Burger Grill, Corner Bakery, Blaze Pizza and Pei Wei. Brittany also represents developers and investors in leasing many of the top shopping centers throughout the Intermountain West. Brittany has had the opportunity to represent prominent landlords including City Creek Reserve, Wadsworth Development Group, Ball Ventures, Liljenquist Properties, The Boyer Company, Blue Diamond Capital, Howland Partners, TerraForm Companies, PEG Development, The Woodmont Company, and Terramerica Corporation. Brittany was first exposed to commercial real estate when she served as the receptionist and front desk coordinator at CBC Advisors. Her time at the front desk equipped her with an overview of commercial real estate and brought about the opportunity to join an established team in the business. Brittany grew up in Texas and moved to Salt Lake City, Utah with her husband in 2015. They have a little boy who is a ball of energy and keeps them on their toes. Brittany loves being outside surrounded by friends and family--but if you really want to see her in her element, meet her on the softball field with a glove, bat and a ball. 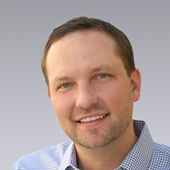 Cameron Simonsen began his career in commercial real estate in 2002 when he was hired by Prime Commercial to focus on their retail database. In this position, he learned a great deal about the commercial real estate market throughout the Intermountain West. Cameron obtained his real estate license in 2003 and was hired by CBC Advisors in 2005 before joining Colliers International in 2018. A large portion of Cameron's business is focused on retail tenant representation. National name retailers and restaurants, such as Buffalo Wild Wings, Dave & Buster’s, TJ Maxx, Marshalls, HomeGoods, Sierra Trading Post, Harmons Neighborhood Grocer, Paradise Bakery Café/Panera Bread, The Habit Burger Grill, Blaze Pizza, Shoe Dept., Dressbarn and Pei Wei, have relied on Cameron to represent them with their site selection in multiple states. Cameron also represents developers and investors in leasing many of the top shopping centers throughout the Intermountain West. He has been instrumental in leasing properties owned by prominent landlords such as The Boyer Company, PEG Development, Ball Ventures, Wadsworth Development Group, Howland Partners, City Creek Reserve Inc., Liljenquist Properties and Blue Diamond Capital. Since Cameron started working in the commercial real estate industry, his primary focus has been retail sales and leasing transactions. To date, Cameron has completed transactions in Utah, Idaho, Wyoming, Montana, North Dakota, South Dakota, Nevada and Alaska. His knowledge of markets throughout the West has proven to be invaluable for his clients. Cameron was one of three finalists for the CCIM Retail Broker of the Year in both 2015 and 2017. In addition, Utah Business Magazine named him to their “40 Under 40” list for the State of Utah in 2017. Stuart is an Executive Vice President and Partner at Colliers (formerly Coldwell Banker Commercial Advisors) in Salt Lake City and is an expert in retail brokerage. With over 30 years of dedication to serving the needs of his clients, Stuart has closed over 1,000 transactions valuing over $1.5 billion. Stuart has created long-standing relationships with his clients and takes the time to understand their needs, set goals, and exceed their expectations upon delivery. Providing accurate, reliable market information, expert negotiation skills, and diligence have continually led local, regional, and national retailers to rely on Stuart’s expertise. From Costco and Ross to Victoria’s Secret, Bath Body Works, and Shake Shack, Stuart represents a wide array of clients in the Intermountain Region. Additionally, landlords continuously entrust Stuart to market more than 6.9 million square feet of new and existing retail developments in the Utah, Idaho, Wyoming, and Montana markets. The trust inspired by his dedication to his client’s interests has led to many ongoing relationships where tenants and landlords alike repeatedly turn to Stuart to problem solve, reach goals, and deliver incredible results. 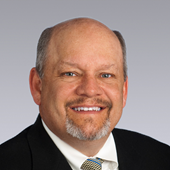 Stuart has been recognized with various honors including recipient of former Coldwell Banker Commercial’s #1 Retail Agent of the Year award in 2008, 2010, 2011, 2012, 2013 and 2016 as well as being awarded the CCIM Retail Broker of the Year for 2016, 2014, 2013, 2012 and runner up in 2011 and 2015. Continually ranked in the top 2% of the highest performing agents for Coldwell Banker Commercial, Stuart has also been one of the top three retail brokers globally for the former Coldwell Banker Commercial for the past two years. Stuart is an avid outdoorsman and enjoys all things hunting and fishing. He is a member of the Rocky Mountain Elk Federation, Ducks Unlimited, and Safari Club International. Stuart lives in Sandy, Utah with his wife Carol and together they have 4 daughters and 10 grandchildren (8 of which are boys) who they love to spend time with.